Or fast and straight like an arrow. Synopsis: I’m a family practitioner from Sioux City, Iowa. Avoiding burnout, I’m taking a sabbatical while my one-year non-compete clause winds down, having adventures, visiting family and friends, and working in out-of-the-way places. Currently I just finished an assignment at the hospital in Barrow, Alaska, the northernmost point in the United States, and I’m in Anchorage for two days. 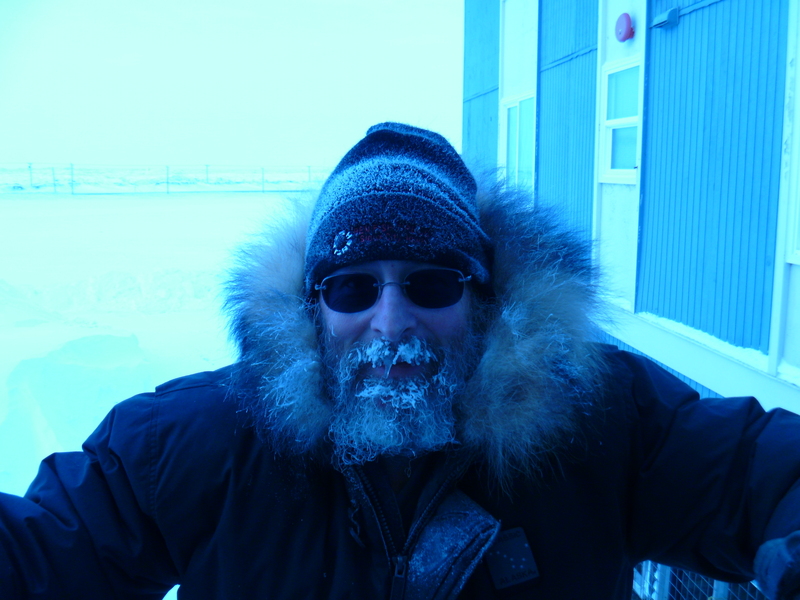 Six weeks in Barrow, Alaska, has flown by. 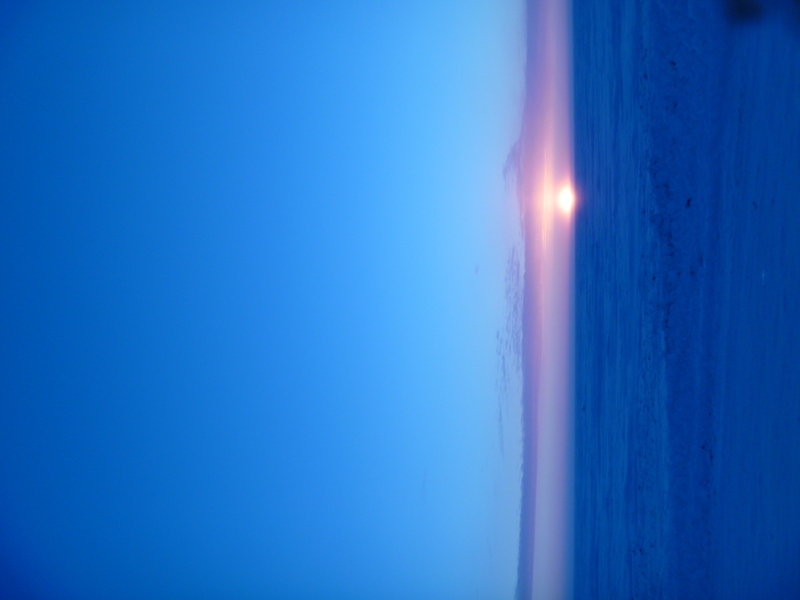 We arrived at the end of the two-month Arctic night. We went out in -75 degree F temperatures, and we stayed inside while the worst blizzard in four years raged outside. I worked 360 hours while here, but the other doctors worked more hours than I did. I received the lightest load on the call schedule. I didn’t work any nights. I saw a lot of broken ankles, from snow machine accidents and falls on the ice. I picked up two cases of vitamin B12 deficiency, nine cases of vitamin D deficiency, two cases of hypothyroidism, and not one case of frostbite. I took care of people from all over Alaska, including Barrow. I also saw those from Tonga, the Philippines, Hawaii, Korea, California, Tennessee, Kentucky, Mexico, Canada, Puerto Rico, Florida, England, South Africa, Colombia, and Ireland. I met people who had survived plane crashes and gunshot wounds. I made personal acquaintance with more than a dozen whaling captains, and more than two dozen who had personally killed whales. A lot of the men had taken polar bears, most at close range with low-powered rifles, many in self-defense. One had killed a polar bear without a firearm at all. I talked to women who sew the seal skins onto umiak frames, and the men who hunted the seals. When a white-out shut the town down for four days, I suited up and went outside. Twenty paces from the building I thought better of the venture and turned back. I didn't have to go out in a blizzard to ice up. We watched the first dawn after sixty-three days of darkness on the afternoon of January 24, and watched it set less than two hours later. The medical community viewed the Superbowl in the Commons room, farther north than any other medical staff activity in the country. I talked to other hunters who shot caribou, wolf, goose, duck, wolverine, seal, and walrus. Several people had been hunted by polar bears, but lived. We saw the Northern Lights, I for the first time and Bethany for the second. We attended Kiviuk, the Messenger Feast that happens every two years. I saw dancers passionately portray heroic stories with their dances. Afterwards, while the Northern Lights swept mutely across the sky, we watched the best fireworks display I’ve seen. While we were here we saw pressure ridges form in the ice on the Arctic Ocean. For every active drunk I took care of I met two in recovery. Bethany taught sign, Inupiak, Special Ed, third grade and fifth grade. She made a lot of new friends, one of whom she started into knitting. She got a lot of exercise. I drove twice, a total of less than fifteen miles. We had the best Kung Pao chicken and Mongolian beef we’ve ever had. Both of us lost a few pounds. Working with too much heat in the air. At the Clinic Formerly Known As Mine, in summer the cooling system kept certain zones cooler than others. My exam rooms and office, till four years ago, ran consistently cold. In June and July, when on really hot days I’d be working in the fifties, I’d take my lunch break in my car in the parking lot with the windows rolled up. I finished my dictations while the temperatures soared high enough to roast almonds on the dashboard. Here in Barrow I face the same but opposite problem; when the mercury plunges outside, the normally hot clinical area becomes even hotter. After a hot day in the clinic Friday I had to go out at into a twenty below night to cool off. 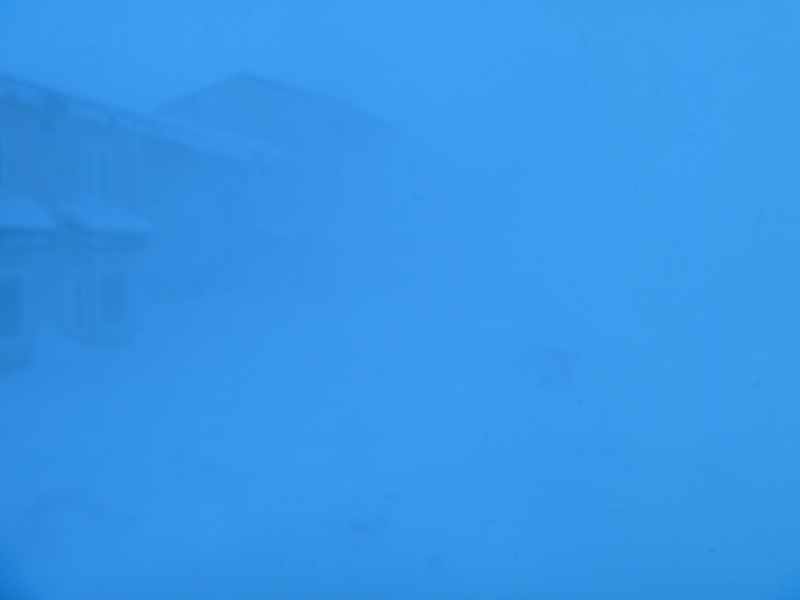 Last night the wind howled and I when I woke up this morning to look out the window, I knew that a white-out had Barrow in its grip. Even without hearing the wind, I would have known about the cold from the way my patients dressed today. People who have lived sixty or seventy winters here told me how cold the weather is. The weather defines Barrow as much as the people, the sea, and the whales. It remains a constant, undeniable fact. In fog, white-out, or high winds, airplanes can’t come in or leave, and emergency medical transport goes from reality to hypothetical. One of my elderly patients complained of cold; the hands were cool to the touch, and since I started to write this, I received lab notification for a critically low hemoglobin/hematocrit (very thin blood). The patient will return for transfusion. The temperature in the clinic today did not exceed reasonable limits of tolerance, in fact the place had good air temps all day. I put in a twelve-hour day and faced difficult patients: four narcotics seekers, five patients who didn’t trust me, a person with very real mental illness and a very real medical problem, more influenza, and a mysterious viral illness causing alarming blisters in the mouths and hands of children. But I didn’t overheat, and I finished the day with my morale intact.